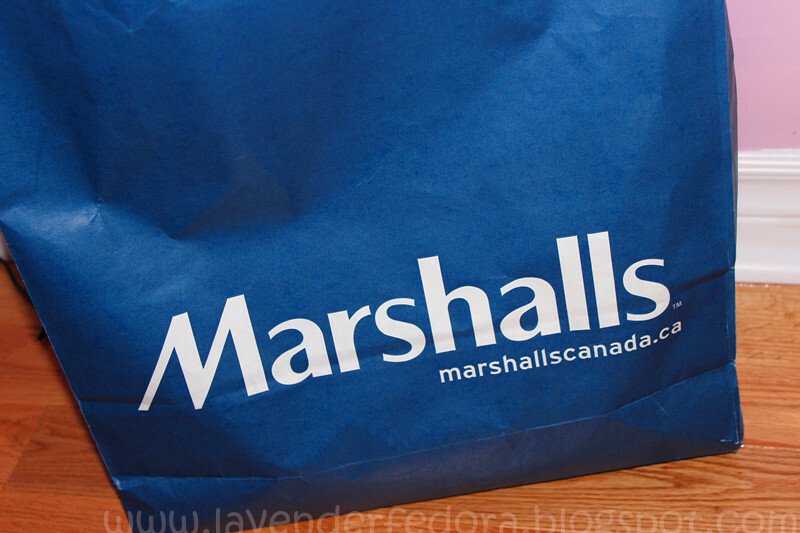 Marshalls is finally in Canada!! Recently, there are so many big US stores launching here in Canada, Target, Bed Bath and Beyond, just to name a few. I was downtown on Thursday and randomly bumped into Marshalls and decided to give it a go. Only when I walked in the store did I realize it was the grand opening for Marshalls in Canada! What a wonderful discovery. I got to visit the store on the first day! To be honest with you guys, I was extremely disappointed with Target. Compared to Target, Marshalls is a total wonderful surprise. I heard of the store occasionally from YouTube gurus but it’s not that hyped. I wasn’t expecting much when I walked in there. But oh my goodness, that place is amazing! There are so many chic and trendy clothing items, shoes and beautiful home decor. I saw a super pretty mannequin for only $70. If not for the one-hour bus ride home, I would’ve picked it up right away. I was also pleasantly surprised to see brand names like Rachel Zoe, Juicy Couture, Calvin Klein in Marshall for an affordable price. So, what did I get from there? I actually had a lot more items in my shopping cart but since I’m on a tight budget lately, I decided to only get two items from there. I have been on the hunt for a medium/large sized purse for as long as I can remember. However, I’ve never seen anything that fits my taste and my budget. I finally found my purse! 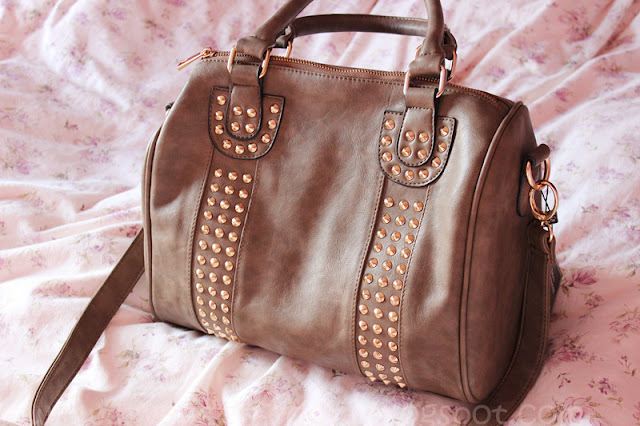 It’s a really neutral colored purse with studs all over it. The quality seems very decent and it’s only $25! 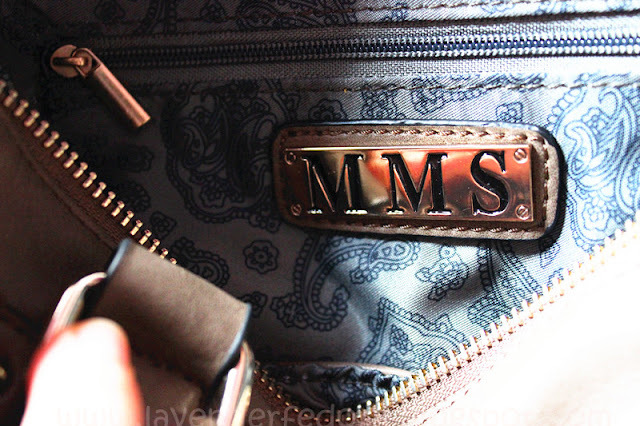 It's by the brand MMS. I was so thrilled! At the check out section, I found this Baptiste dryshampoo set. It’s $10 for 2 and I snatched it right away. It’s for brunette so it’s lightly tinted with brown color. I split the two with my friend. I’ve tried it once so far and I love it. 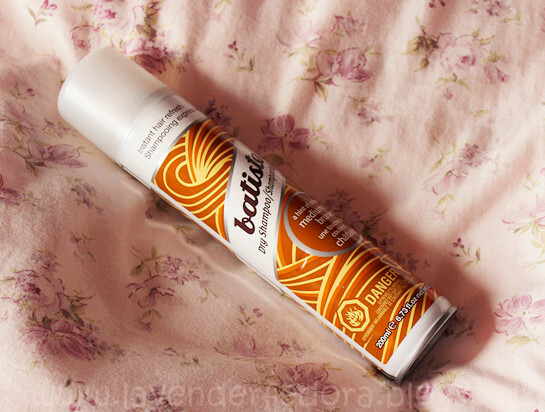 It gave my scalp a cooling sensation and smelled incredible. My hair wasn’t dirty that day so I don’t know how well it would clean up oily hair. But so far so good! I just want to mention some of the brands and sales I saw at Marshalls. If you are a beauty addict like me, you would find Marshall very exciting. I saw Seche Vite top coat for only $6! There are many china glaze, Orly, OPI nail polishes for a cheaper price. Fashion wise, there are so many pretty denim shirts, bustier, shorts for below $20. The home decor section has to be my favorite. Like I said, the full-size mannequin for only $70 is insane. There are so many pretty shabby chic furniture, photo frames. I am in love with Marshalls and will definitely go back and visit! Have you ever been to Marshalls? What do you think? I love Marshalls! Sometimes it's "hit or miss" but usually you can find great stuff there. Enjoy! Thank you! I'm totally in love with that store! What a great find! I just love Marshall's. My Friday tradition includes a trip to Marshall's to see what new treasures I can find. I love your bag! Gorgeous. You found a great deal with that bag. Marshall's here in Florida is a hit or miss. I have better luck with TJ Maxx which I think is owned by the same company as Marshall's. And Target, I can't go in there without buying something. Some Target's I've been too are disappointing though. Hopefully your Target starts to get a bit better.